Northern Calif. Champ. Southern Calif. Champ. The match was played at the Los Angeles C. C.
and resulted in a 12^-12 draw. Our hats are off to the South Jersey Chess Association. For real enthusiasm and active interest in the royal game, this aggressive organization, headed by William A. Ruth, is in a class by itself. During the past season they have staged no less than seven simultaneous exhibitions, have participated in more than twenty matches, and sponsored a tournament for the championship of Soutfr Jersey, an event with thirty-eight entiants. Their team finished second to the strong Mercantile Library in the Philadelphia Chess League, and in their match. with Philadelphia, they set an all time record for the number of players participating, fifty on each team—and the Quaker City cohorts were very fortunate to vanquish their friendly rivals from over the .river by the score of 28-22. 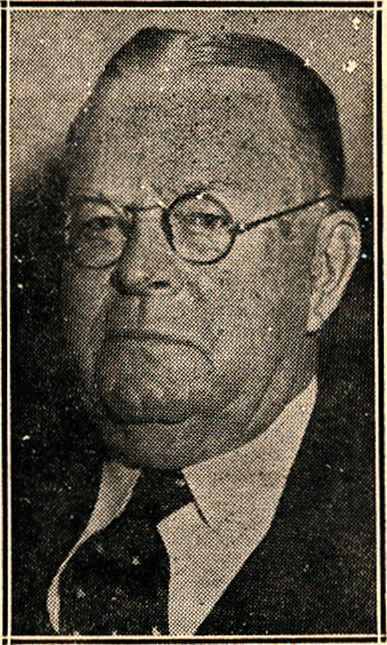 The tournament for the championship of South Jersey was won by W. A. Ruth. Among the entries in this event were Stasch Mlotkowski, well known • analyst; Harold Burdge, Champion of Atlantic City, and Jos. DuBois, one of Philadelphia's ranking players. The South Jersey Chess Association has issued a challenge to the pawn pushers from the upper end of the state for a match of six games to be played between W. A. Ruth and their champion for the championship of the State. Officers of the South Jersey Chess Association are: W. A. Ruth, President: L. B. Cook, (President of the Camden City Club) and Wm. Van Breeman (President of the Mercer Club), Vice-Presidents; E. R. Meves, Secretary, and E, R. Glover, Treasurer. Marvin Palmer and Leon Stolcenberg tied for first place in the Michigan State Championship Tournament held at the Fort Shelby Hotel, in Detroit. They will play a short match in July to decide the State Title and custody of the championship trophy which must be won three years in succession to become a permanent possession. The recent International Chess Master's Tournament at Budapest, Hungary, was won by Andor Lilienthal of Paris, who finished with a score of 11-4. Of fifteen games played Lilienthal won 7 and drew 8.